We mentioned in our last State of Development that we have a new Hero System in the works. We’re excited to announce that these Hero System changes will be in the v8.00 update! The current Hero Squad utilizes three slots: Hero, Support, and Tactical. The new Hero Loadout is made up of seven components: one Commander, five Support Team members, and one Team Perk. 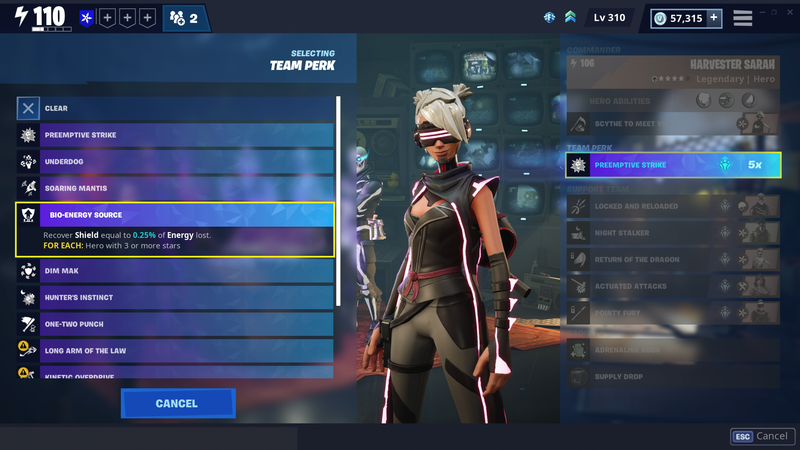 Heroes also no longer have a full set of static perks which define their gameplay. Instead, they’re focused on a specific perk, and you can mix-and-match perks to best fit your playstyle. The Hero Loadout gives you the tools to play YOUR way. Let’s break it down! The Commander is the hero you’ll play as during the mission. This hero will determine your abilities, Class Perks (more on those later! ), and Commander Perk. 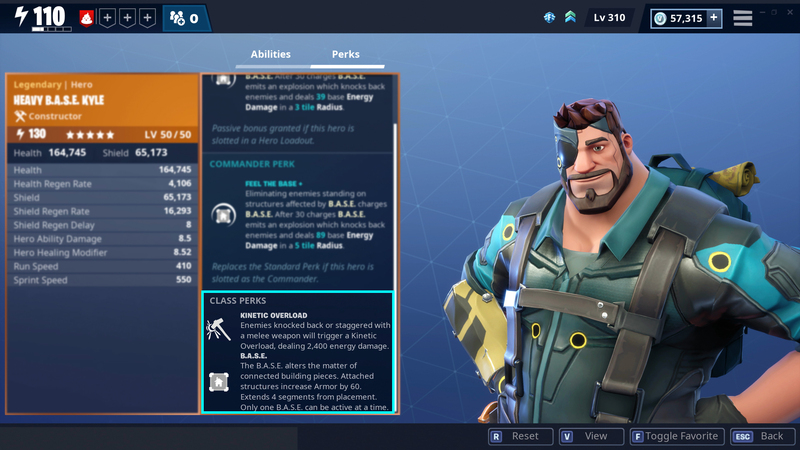 The Commander Perk unlocks when a hero is evolved to 2-stars and it's a serious upgrade to the standard perk. Your Commander plays an important role in your loadout as commander perks pack a major punch. Use this to push your loadout to its limits! The Support Team is the backbone of your loadout. 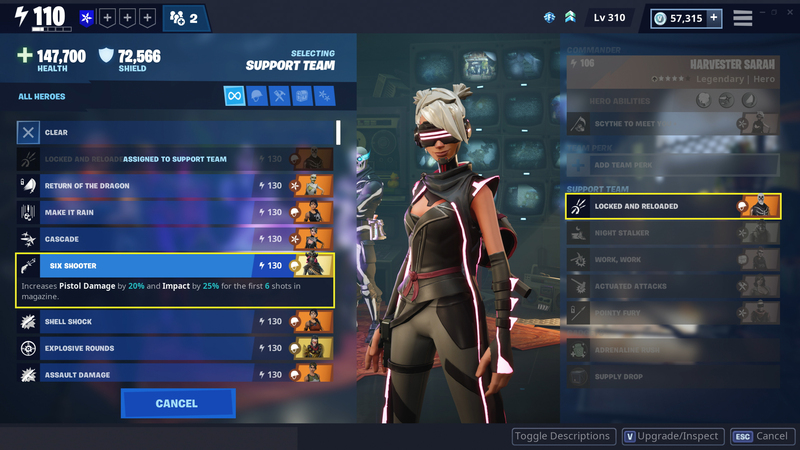 Any hero slotted in a support team slot will grant you their Standard Perk, and 8% of their stats. 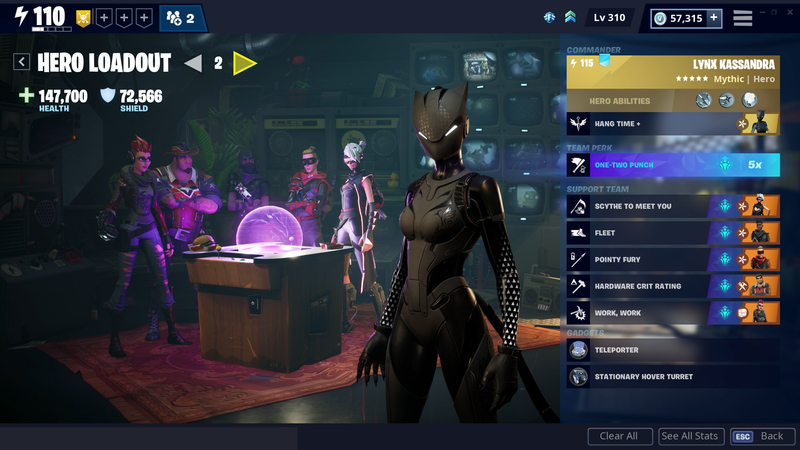 This is where you’ll be able to leverage your hero collection to build creative loadouts. There are 5 support team slots, so you’ll have plenty of options to customize your build to your preference. You can play as a sniper-focused Constructor or a Soldier with the most souped-up Goin’ Commando you can assemble - the choice is yours! Each Class has a set of Class Perks which make up the shared traits of each class. If you’re playing a Constructor you should always FEEL like one, but it’s important to us that you have the tools to express how YOU play a Constructor. Class Perks establish the core of each hero class without putting unnecessary restrictions on your gameplay choices. For example, B.A.S.E. 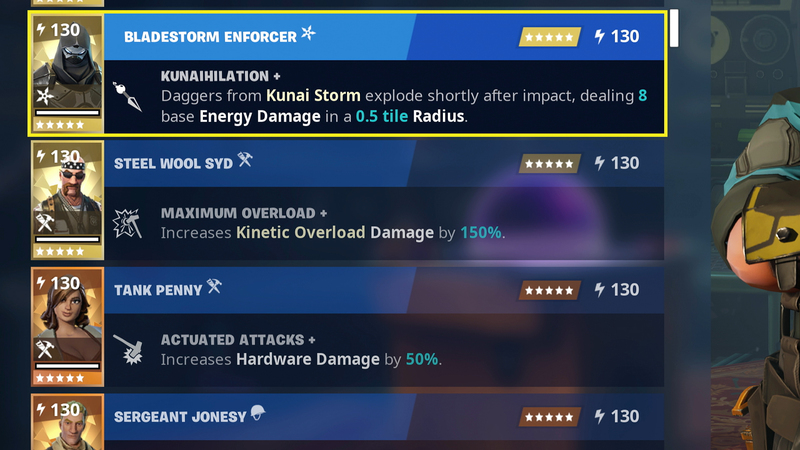 has been converted from an ability to a Constructor Class Perk. As a result, all Constructors can access B.A.S.E. through their trap wheel. You’ll recognize most of the Class Perks as they previously existed in some form, however they’ve all been tweaked to better fit their new role. For some this means reworked or additional functionality, while others were simply tuned and adjusted. For example, In The Zone is an Outlander Class Perk and it includes the functionality of the old Keen Eyes perk by default. Team Perks will test the strength of your collection, but among them are some of the most powerful, build-defining effects in the game. These perks aren’t attached to a hero, but are instead selected from a list of your unlocked Team Perks. When you first unlock the Team Perk slot, you’ll also unlock 4 Team Perks. 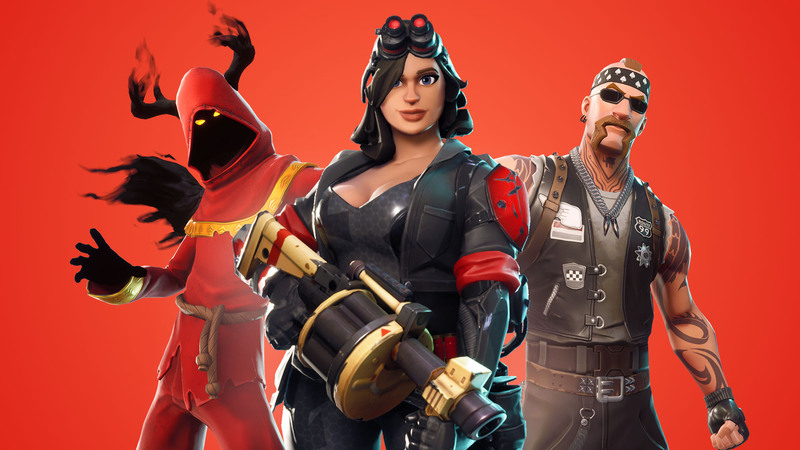 We can’t wait to see the creative loadouts you put together! 20 Team Perks have been added as part of the introduction of the Hero Loadout . You’ll also recognize several existing perks that have been converted to Team Perks. Mythic heroes have a special role in the Hero Loadout. The thing that sets mythic heroes apart is they always grant you access to a new, unique Team Perk when you acquire them. Future mythic heroes may even require that you complete a quest for them before they teach your team new combat tricks! This won’t be the only way to acquire new Team Perks, but it’s definitely a significant one. Multiple loadouts are here! With the new Hero Loadout you’ll be able to save multiple loadouts and easily switch between them. You’ll be able to earn additional Loadout slots by progressing through the Stand and Fight campaign. Going forward almost all new heroes will have a unique perk. Reskins will be reserved for heroes who are either only available through real money offers (ie: Founder’s Pack) or a time-limited exclusive reward (ie: Birthday Brigade Ramirez). We’ll be applying this methodology to all existing heroes, which will cause many reskins to become unique heroes! This means that heroes like “8-Bit Demo” and “Demolitionist Bull” will each have their own unique perks. This extends to alternate characters of the same subclass as well, meaning “Demolitionist Bull” and “Demolitionist Penny” will no longer share the same kit. We understand that this is a massive overhaul to every hero, and you may have opted-out of earning certain event-limited rewards because they were reskins of heroes you already had or their Perks didn’t fit your playstyle. Our long-term goals include creating ways for you to earn heroes from previous events. We have some great ideas about how to provide those opportunities, but it’s a bit too early to share them. In the interim, we’ll be granting everyone a few Hero Recruitment Vouchers which you can redeem to recruit event heroes from the collection book. What better way to celebrate the new Hero Loadout than with more heroes? We’ve added 8 new quests, each of which will grant a hero as a reward. 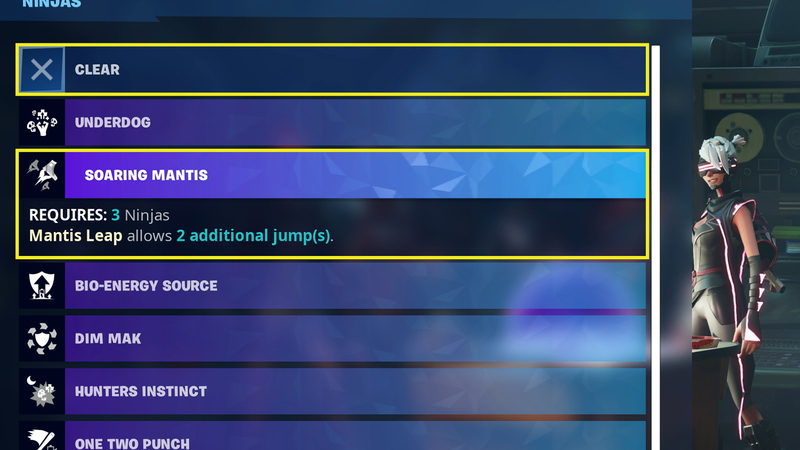 These quests are extensions of the class-specific quest lines and are unlocked beginning after SSD2 in Canny Valley. We’ve made some changes to the hero rewards you earn throughout the normal quest progression. These changes were aimed at cutting down the number of duplicate heroes you received to help you expand your collection. Players who have already completed these quests will receive the new rewards upon logging in. We want you to be able to jump right into building new loadouts and trying them in the game. In order to help with this, we’ll be granting everyone a bunch of Hero XP and evolution materials based on your account level. We’re also including recruitment materials (manuals and flux) so you can recruit a few new heroes from the collection book. Get out there and experiment! Our goal is to create more opportunities for you to try new builds and experiment with new heroes. 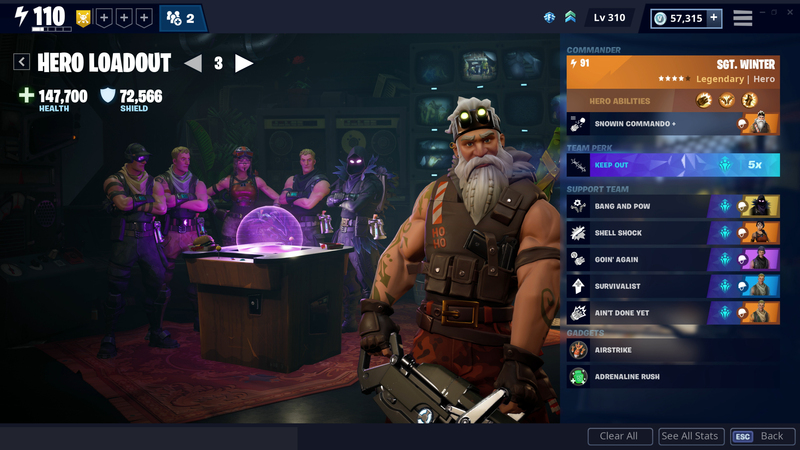 We felt the existing mission rewards were making this difficult to do, so we’ve significantly increased Hero XP, Schematic XP and Survivor XP rewards from Missions and Mission Alerts in Plankerton, Canny Valley and Twine Peaks. Your collections are important to us and we want to make sure we don’t invalidate the time you’ve spent expanding and developing them. 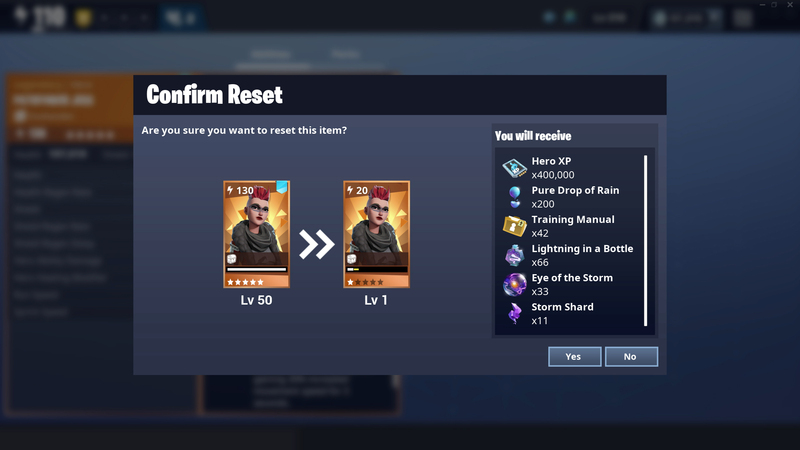 This new system fundamentally changes the way Heroes work, so we’ll be using the recently introduced Item Reset feature to make all your heroes eligible for a reset. This is the first iteration of the Hero Loadout and we’ll continue to enhance this feature as time goes on. We’re so excited about the update and looking forward to seeing all the awesome, creative ways you utilize the Hero Loadout!